As revelations emerged that Russian-linked accounts reached many more American voters than previously thought, tech giants Facebook, Twitter and Google on Tuesday defended their security measures and promised a Senate subcommittee they would do more to stop the misuse of their platforms by foreign nations. Lawyers for the three companies acknowledged to U.S. lawmakers that Russian-linked accounts began exploiting their services in 2015 to sway last year’s presidential election. They also said the abuses continued after President Donald Trump took office, in an attempt to deepen divisions in the country. The admissions came Tuesday during appearances before a Senate subcommittee looking into Russia’s manipulation of influential communication channels to interfere in the 2016 election. The mischief came through advertising purchased on the services and posts containing misleading or false information. All three companies vowed to do a better job preventing similar interference from Russia and other “bad actors” in the future. Early on, Sen. Lindsey Graham, R-S.C., said the purpose of the hearing was for the government to “figure out how we can help” the tech companies. But in the second hour of the meeting, Democratic Sen. Patrick Leahy of Vermont said he’d been hearing a lot of “Johnny-come-latelies” from the companies when they could have done something earlier. Minnesota Sen. Amy Klobuchar, meanwhile, pressed the companies to declare whether they will support the “Honest Ads” bill she has introduced with Sen. Mark Warner, which would bring political ad rules from TV, radio and print to the internet. “We stand ready to work with you and your co-sponsors on that legislation going forward,” said Facebook general counsel Colin Stretch, who was echoed by Twitter’s and Google’s representatives. 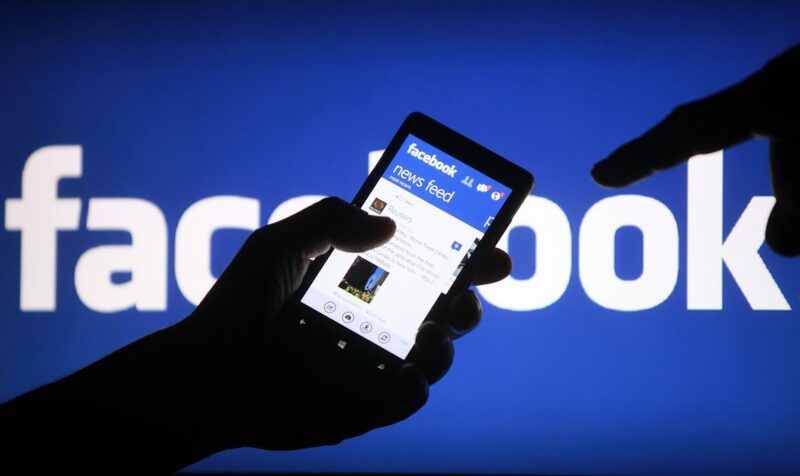 Facebook has disclosed that content generated by a Russian internet agency potentially reached as many as 126 million users. The company said pages created by Russia’s Internet Research Agency generated 80,000 posts on 120 pages between January 2015 and August 2017. Possible views reached the millions after people liked the posts and shared them. Testimony from Facebook’s Stretch made clear that many of those users may never have seen the material. The company said the total number represents around 1 out of 23,000 pieces of content on the site. These “organic” posts that appeared in Facebook users’ news feeds are distinct from more than 3,000 advertisements linked to the agency that Facebook has already turned over to congressional committees. The ads — many of which focused on divisive social issues — pointed people to the agency’s pages, where they could then like or share its material. Twitter told the subcommittee it has uncovered and shut down 2,752 accounts linked to the agency, which is known for promoting pro-Russian government positions. That number is nearly 14 times the number of accounts Twitter handed over to congressional committees three weeks ago. Lawmakers have pressured the social media companies to come forward and have criticized them for not being fully forthcoming immediately after the election. During the hearing, the companies also faced pressure for not noticing earlier that Russian election meddling was taking place on their platforms. “In hindsight, we should have had a broader lens,” Stretch said. On Twitter, the Russia-linked accounts put out 1.4 million election-related tweets from September through Nov. 15 last year — nearly half of them automated. The company also found nine Russian accounts that bought ads, most of which came from the state-backed news service RT, previously known as Russia Today. Google announced Monday that it will also verify the identity of election-related ad buyers and identify these advertisers publicly via ad icons. It will provide a public database of election ads detailing who purchased each one, and will publish a transparency report on election ads as well. All three companies will also testify Wednesday before the House and Senate intelligence committees as part of congressional probes of Russian election interference. Ortutay reported from New York, Liedtke from San Francisco. Tom LoBianco and Mary Clare Jalonick in Washington and Ryan Nakashima in Menlo Park, California, contributed to this story. 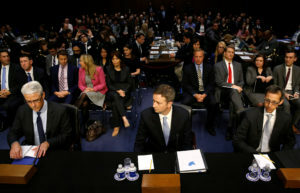 Left: (L-R) Facebook General Counsel Colin Stretch, Twitter's acting General Counsel Sean Edgett and Google's Director of Law Enforcement and Information Security Richard Salgado are sworn in to testify before a U.S. Senate Judiciary Crime and Terrorism Subcommittee hearing on how Russia allegedly used their services to try to sway the 2016 U.S. elections on Capitol Hill in Washington, D.C. REUTERS/Jonathan Ernst.